XSEED Games announces E3 2016 lineup. 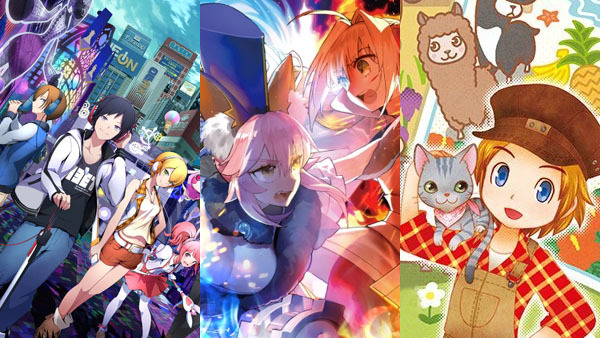 XSEED Games has confirmed it will bring Fate/Extella: The Umbral Star, Story of Seasons: Trio of Towns, and Akiba’s Beat to North America. 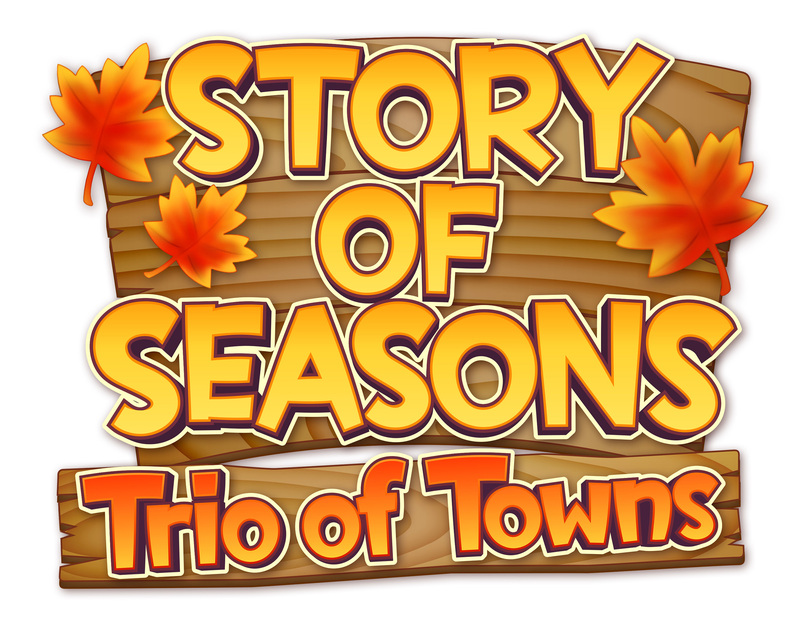 Fate/Extella and Akiba’s Beat are both due out for PlayStation 4 and PS Vita this winter, and Story of Seasons: Trio of Towns is due out for 3DS in 2017. All three titles will also join the company’s E3 lineup. In the critically acclaimed cult hit Corpse Party, players take control of a group of Japanese high school students who inadvertently engage in a pagan ritual and find themselves inexplicably transported into a whole other space: an inescapable echo of a long-since demolished school building where a series of brutal murders once took place. Presented using crisp 2D sprite graphics in a classic 16-bit style, Corpse Party is brought to life with gruesome and horrifyingly detailed portraits and art stills, vividly descriptive text, and binaural 3D audio when played with headphones for a more immersive audioscape. Players’ minds are prone to wander in this horror adventure, providing a uniquely engrossing and terrifying story-driven experience. Remastered from the 2011 PSP game, the Nintendo 3DS rendition of Corpse Party will feature redrawn, high-resolution character sprites, newly arranged music tracks, and 3D art stills, as well as four new Extra Chapters exclusive to this version that provide insight into lesser-shown characters and plot elements previously left unexplained. A dark and futuristic 2D sidescroller offering adventure-style puzzles, exploration-driven platforming, and dangerous extraterrestrials, Exile’s End draws inspiration from classic “cinematic platformers” with its animated cutscenes, multiple endings, an atmospheric soundtrack by Keiji Yamagishi and much more. Players will investigate a massive, interconnected alien world as they solve the mystery of a strange disappearance on a distant mining planet and experience a story of ancient riddles and modern-day hubris. Backed by Japanese publisher Marvelous Inc., Exile’s End is a collaboration between Tokyo-based indie game developer Matt Fielding and many talented local industry veterans, and a partial remake that significantly expands on the ideas behind Fielding’s first game, Inescapable. Expanding upon the extensive and much-beloved Fate universe with a standalone story from acclaimed series writer Kinoko Nasu (of Fate/stay night fame), Fate/Extella: The Umbral Star, developed by Marvelous Inc., transpires on the new world of Extella through a diverse cast of “Servants” – ancient warriors of legend and imagination, always at their Masters’ orders – who survived the Holy Grail War that took place on the Moon. In a future ruled by the all-powerful lunar super computer Moon Cell Automaton, these champions now duke it out for dominance over this digital realm, known as “SE.RA.PH.” This story takes place after the events described in Fate/Extra, and depicts the world after that previous Holy Grail War. Players will experience the story from the independent perspectives of the three heroine Servants and face off against foes from a variety of Fate productions, including characters from Fate/stay night, Fate/Apocrypha, and Fate/Grand Order, in fast-paced action. A new form change battle mechanic debuts in this entry to match its series-first gameplay style, transforming the player-controlled Servants and granting them considerable powers that allow them to devastate enemies and take formidable challenges head-on. The Legend of Heroes: Trails of Cold Steel II picks up one month after the decisive collision which changed the fate of the entire nation at the conclusion of Trails of Cold Steel. Speedy, tactical turn-based combat with the newly-developed “ARCUS” system returns with all the bells and whistles players fondly remember alongside a new Overdrive mode, new means of transportation both across the land and sky, new allies, new dangers, and a renewed sense of hope as Rean tirelessly works to right the wrongs that have led the country to disarray. Cross-Save functionality between the game’s “PS Vita” and PS3 editions returns, and clear data from the first game grants bonus stats and extra items. In addition, relationships cultivated during the earlier time players spent at Thors Military Academy affect future story elements and allow for more personalized conversations throughout the game. After three successful outings, Shantae is ready to embark on her first big-screen adventure in Shantae: Half-Genie Hero. Vibrant, high-definition graphics bring new detail to the series’ charming hand-drawn sprites, which take center stage in this engaging 2.5D entry along with the franchise’s signature action-packed platforming and heavy exploration elements. As Shantae masters her trademark Belly Dance Magic to transform into various creatures, old stages can be explored again to unearth new items and secrets, ensuring there’s plenty of content for casual players and platforming gurus alike. Steamy jungles, ancient ruins, and stormy deserts lie between Shantae and the ultimate showdown against her arch-nemesis: the bodacious buccaneer Risky Boots! Set in the ever-evolving Touhou Project universe, the fan-created Touhou: Scarlet Curiosity trades in the series’ top down bullet-hell roots for an action RPG style approach, drawing inspiration from games such as YsTouhou’s classic indie feel . Utilizing the titular Remilia Scarlet’s vampiric powers or the time-stopping abilities of her devoted maid Sakuya Izayoi, players will explore a wide variety of environments in 1080p at a smooth 60 frames per second, fighting their way through the game’s myriad of aggressive creatures while conquering tricky and highly varied platforming challenges. The series’ signature complex enemy patterns and waves of projectiles will keep players on their toes with the game’s fast-paced combat as they battle to retake Scarlet’s manor in this standalone adventure!